These combinations of Bubble and foil or latex balloons can be used to make extra special decorations or gifts. A wide range of possibilities exist and we can be sure to make something with the "wow" effect. Decorative bubbles work well in combination with either latex or foil balloons to build a special gift or centre piece. 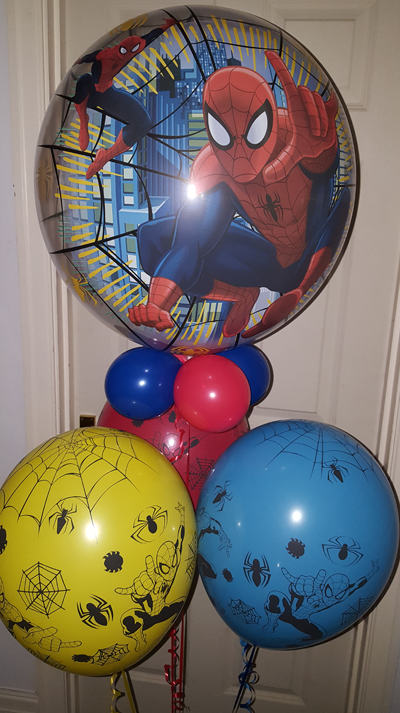 Any combination is possible so contact me with your requirements and we can create a customised balloon combination. 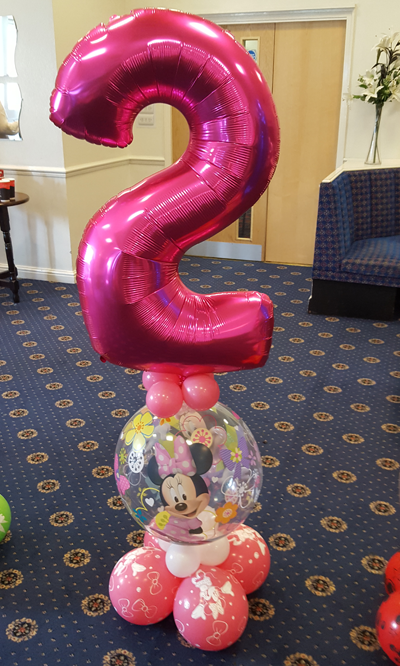 When combined with latex balloons these combinations are ideal for childrens themed parties to create a special impression. 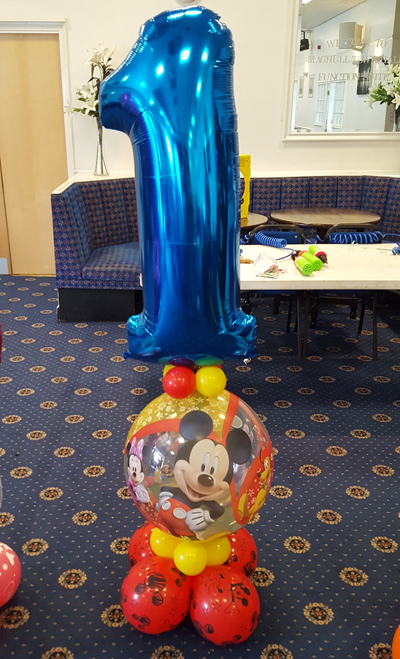 Bubbles are very effective when combined with foil balloons, and can be used as base and extension for Jumbo Numbers.